Mitsubishi Regional Jet is designed to carry 70 to 90 passengers. Credit: Mitsubishi Aircraft Corporation. 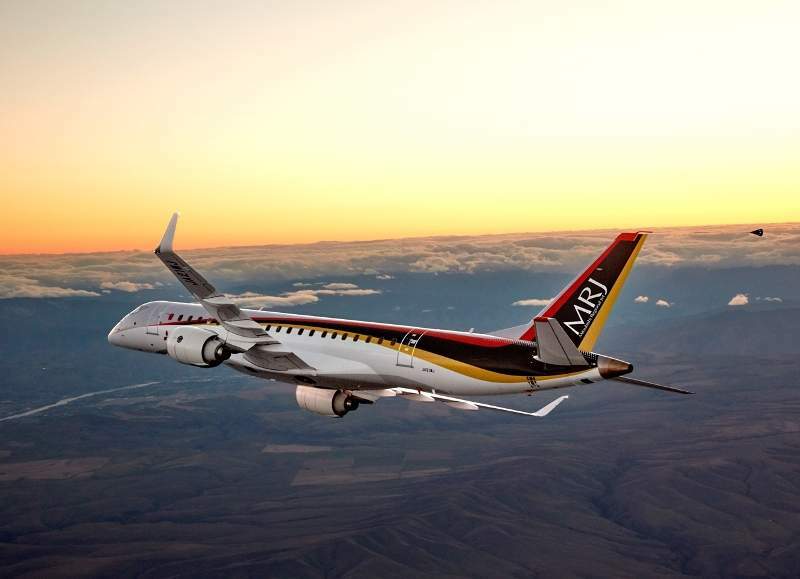 Japan’s Mitsubishi Heavy Industries (MHI) has unveiled a plan to provide financial support of $1.94bn to its struggling subsidiary Mitsubishi Aircraft to help the delayed development of the Mitsubishi Regional Jet (MRJ). The support will be in the form a capital investment of JPY170bn ($1.5bn) and the cancellation of the JPY50bn ($442m) debt owed by Mitsubishi Aircraft to MHI. This is expected to help Mitsubishi Aircraft get rid of its capital deficit and provide funds to continue the development of the MRJ. In a statement, MHI said: “As of 31 March 2018, the company’s liabilities exceeded assets by JPY110bn ($972m). “With the JPY170bn ($1.5bn) to be acquired from MHI, Mitsubishi Aircraft will allocate JPY85bn ($751m) to its capital and an equal amount to its capital reserve. MHI noted that its new capital investment will mainly support the development of the MRJ90, one of six variants of MRJ, and future expenditures associated with commercialisation of the aircraft. MRJ, which is designed to carry 70 to 90 passengers, completed its maiden flight in November 2015 from Nagoya Airport, Japan. It was initially scheduled for 2013, but was postponed five times due to modifications in design, reported The Japan Times. Mitsubishi Aircraft is expected to deliver the first MRJ to All Nippon Airways by the end of 2020. Powered by Pratt & Whitney’s PurePower engine, the aircraft will feature advanced aerodynamics to lower fuel consumption, noise, and emissions.